Here’s a great app that combines learning and fun. It reminds me a little of the plastic tangram sets we had in Kindergarten classes - they were very popular. The kids loved to create their own pictures with shapes, and tell stories about them. While doing this, unbeknownst to them, they were developing spatial reasoning and shape awareness. Play with shapes, build them into characters and bring them to life through animation. + Choose from a spectrum of shapes and colors. + Merge shapes together and add joints, eyeballs, sparks and more to build your shapes into animals, robots or anything you can imagine. + Learn the names of shapes and what makes each shape special. + Create an unlimited number of projects on separate canvases. + Choose different background colors to set your scene in the desert, the sea, the sky, outer space or beyond! + Simply play with shapes or switch to Animation mode to record your characters in motion. Save your animations as movie files. + Export screenshots and movies to share with friends and the ShapeKit community, via Facebook, YouTube, email and more. What I liked: While this wasn’t an app I could completely use from the start, I felt much more confident after I had gone through the excellent, well-thought-out tutorials. And I loved that a tutorial was there when I (inevitably) forgot something. Making an animation is fun and creative. Although the resulting video is very short (4 seconds) the app might well lead kids to want to explore more animation apps, and animation generally. The colours are attractive and there’s a range of them. Kids will adore the googly eyes too. I think children will need patience to create with this app. I found it a little bit fiddly to edit shapes. But if you know kids who like techy toys or students who are interested in animating, this might be just the app to get them started. It’s great that their animations can be emailed and shared with friends too. 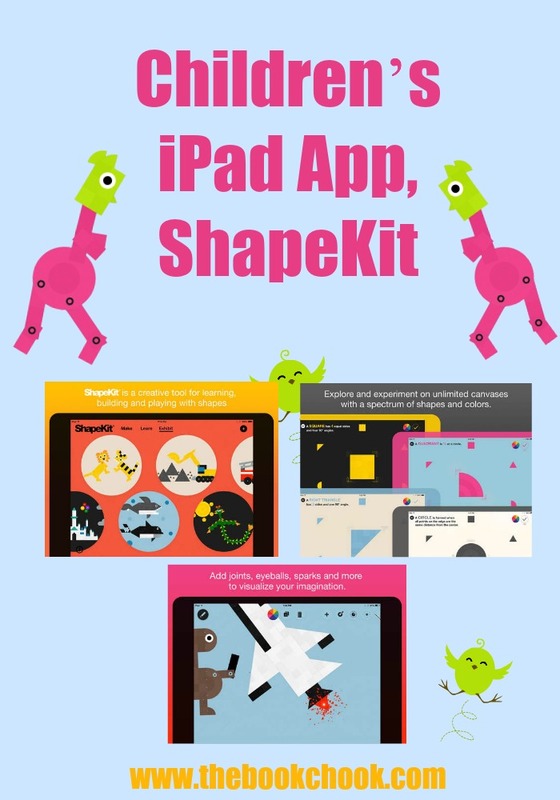 You might also be interested in Creating with Kids and iPad Apps. Check out all my iPad App Reviews on Pinterest, and find more apps and articles via my Listly page.